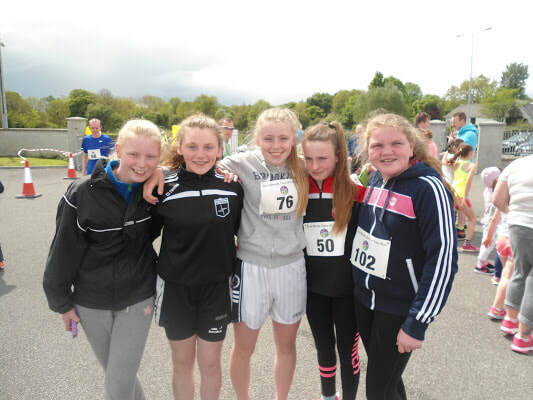 Scoil Bhríde Clara held their 3rd Annual 5K Fun Run on Sunday 22nd May. Started initially as a fitness improving exercise for the girls in the school, it has now become a very successful annual event in Clara and the surrounding area. Over 200 people gathered in the splendid sunshine on Sunday morning to compete in the very demanding 5K course. This year saw the highest number of children taking part. A word of thanks to the Civil Defence, the many people from the community of Clara, the parents, the school staff and the children for making the event so enjoyable and so successful.